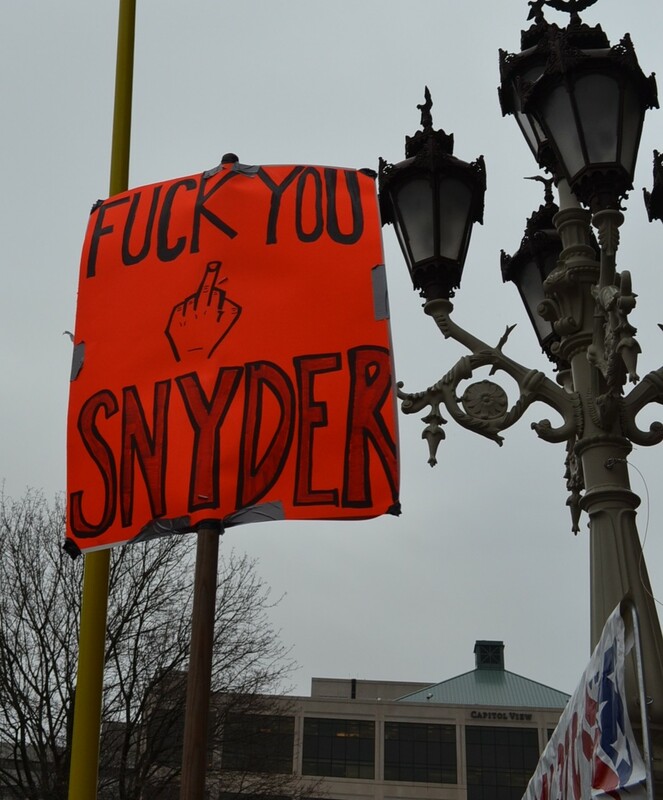 Well, what to say about the state of our fair (sic) State. 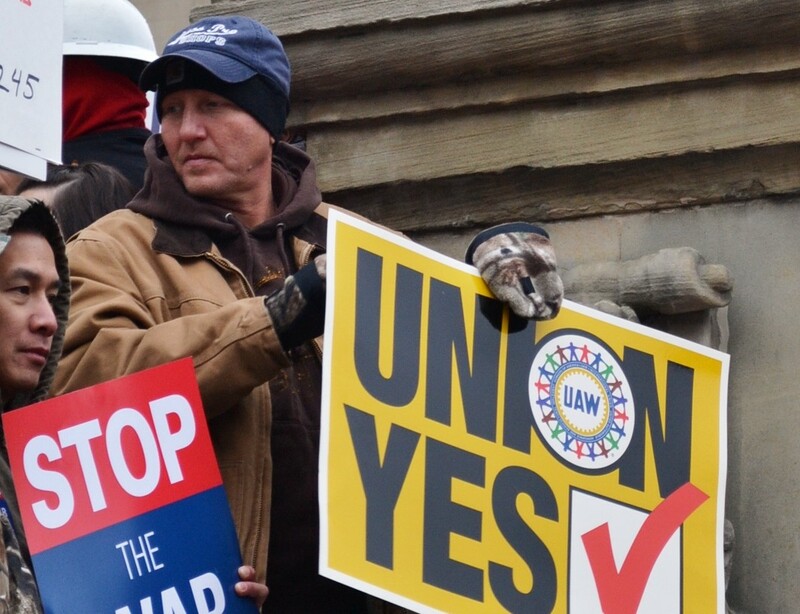 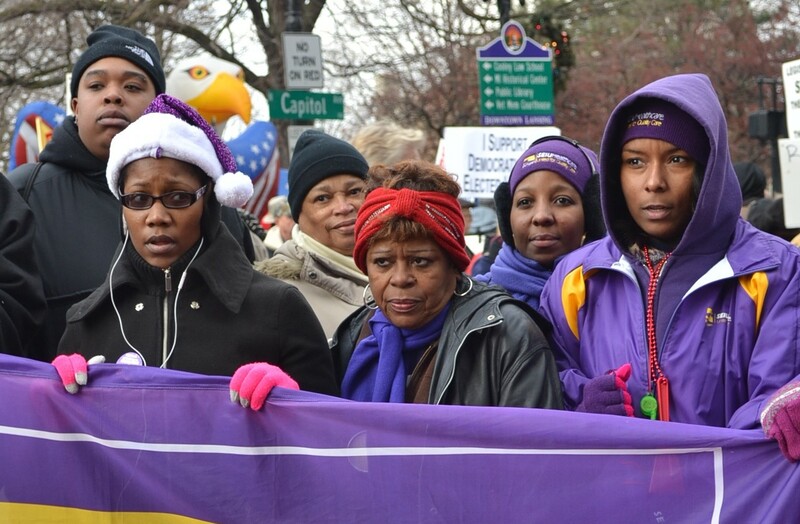 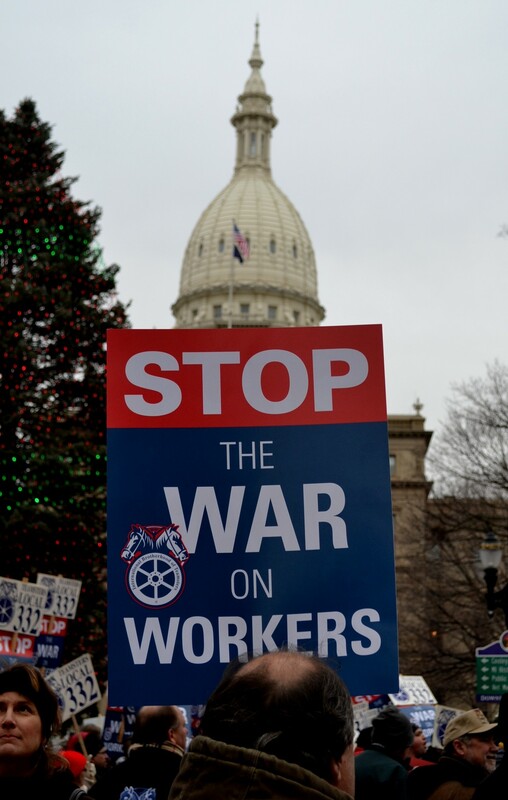 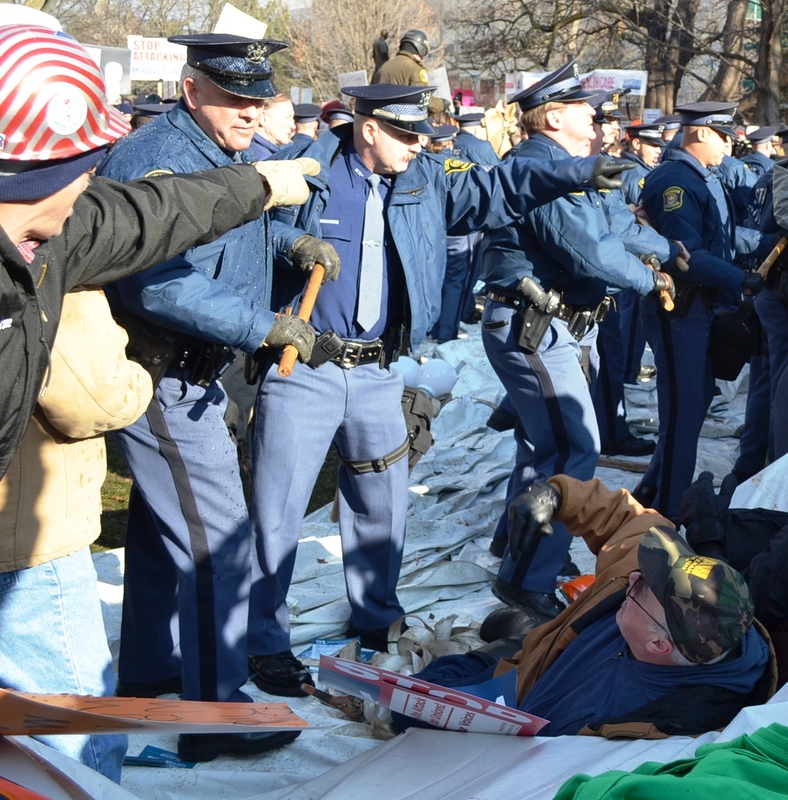 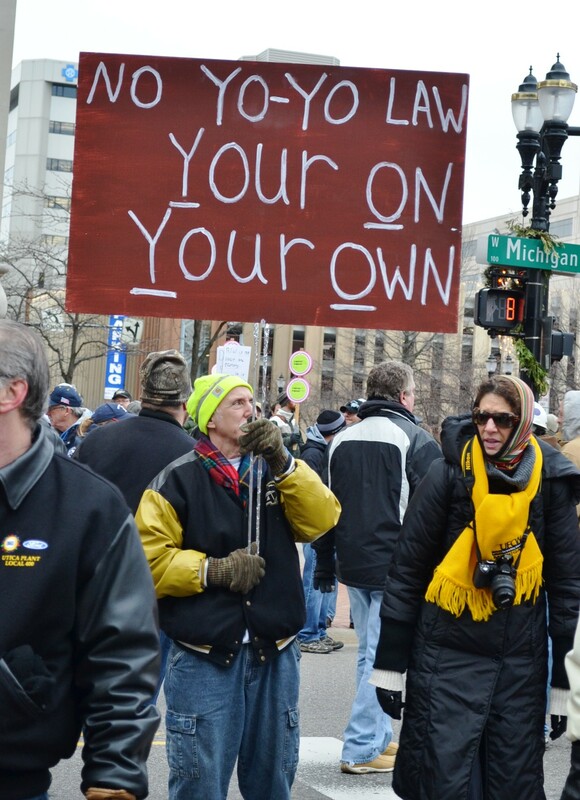 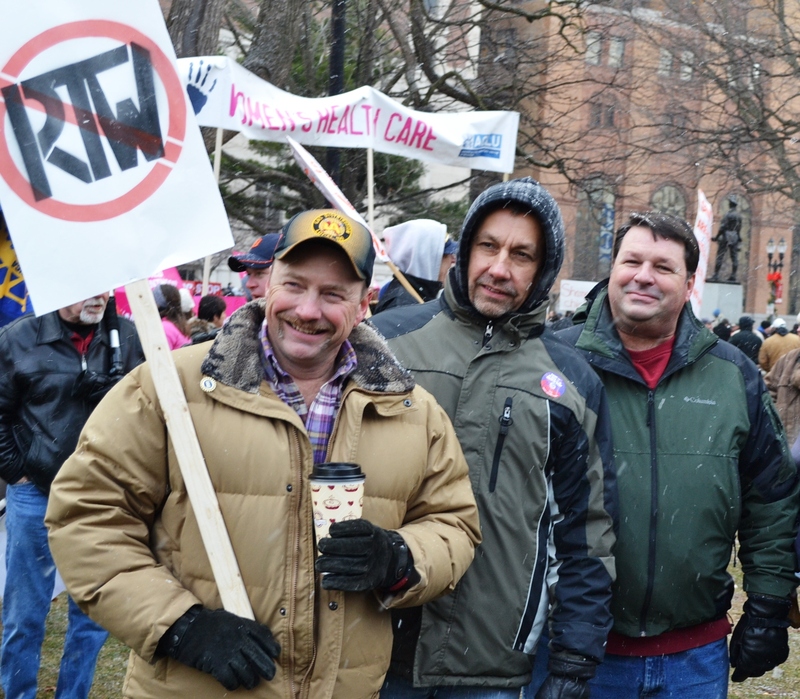 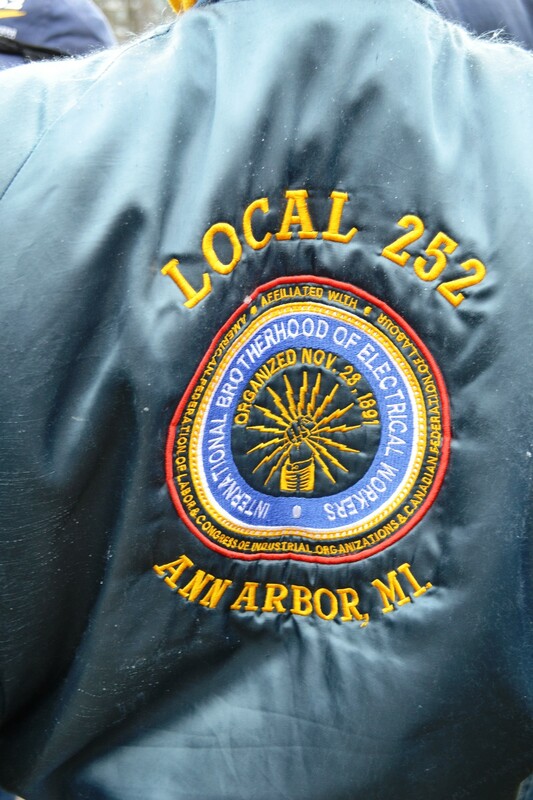 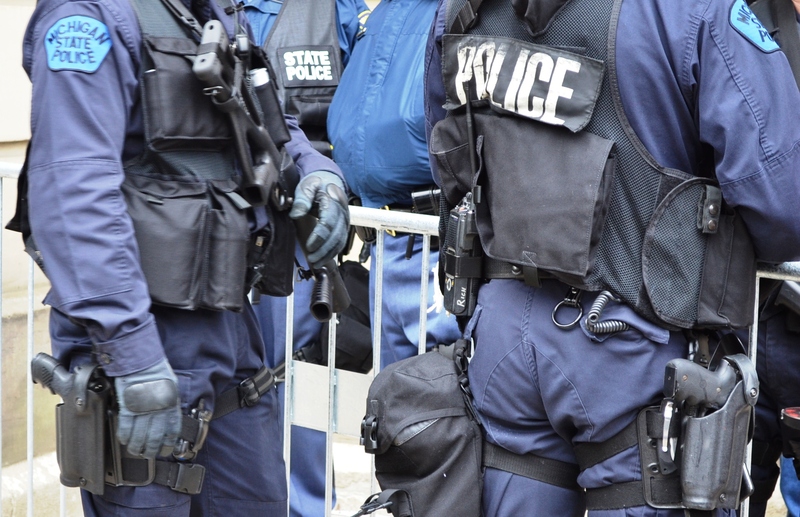 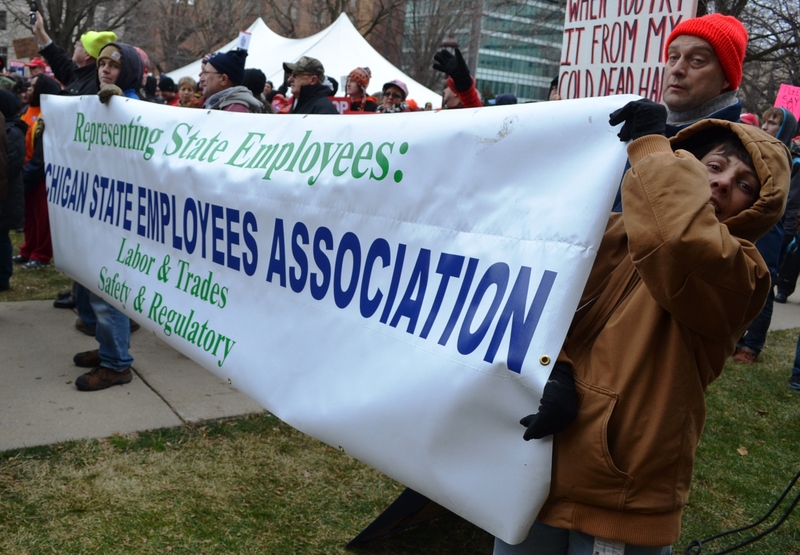 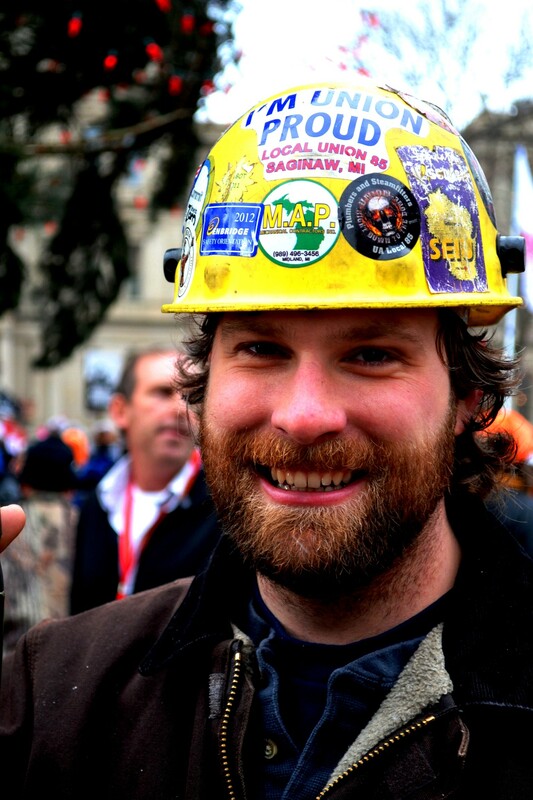 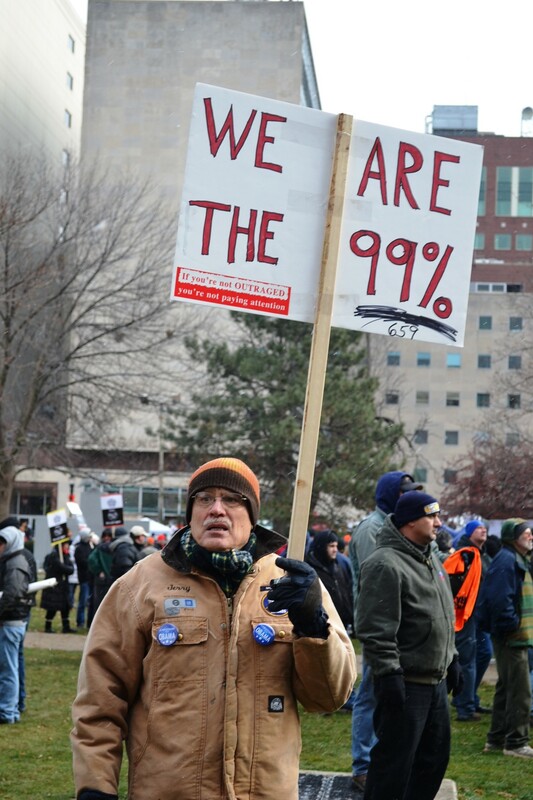 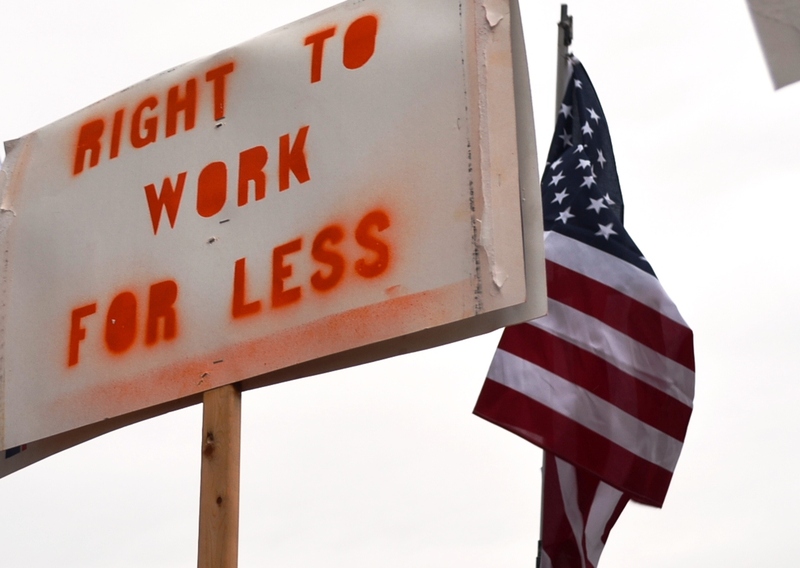 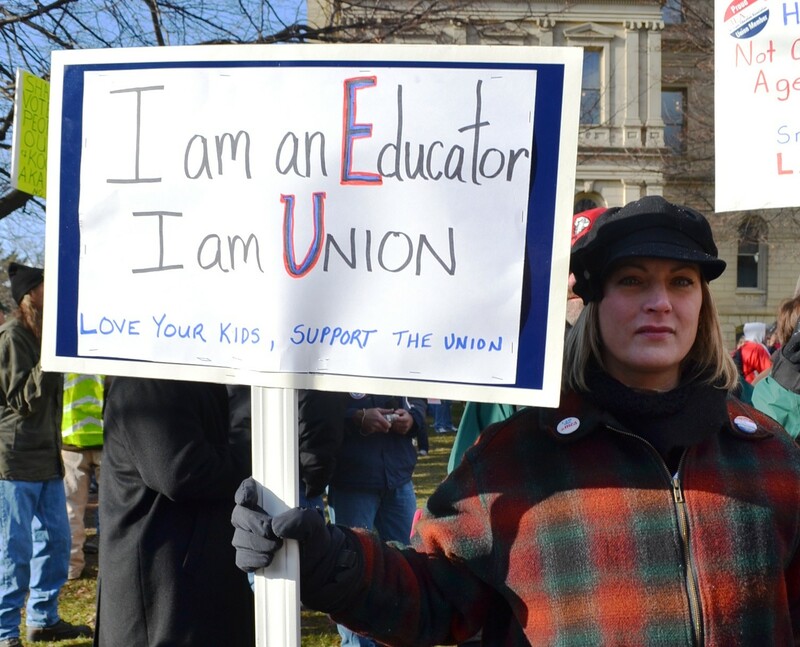 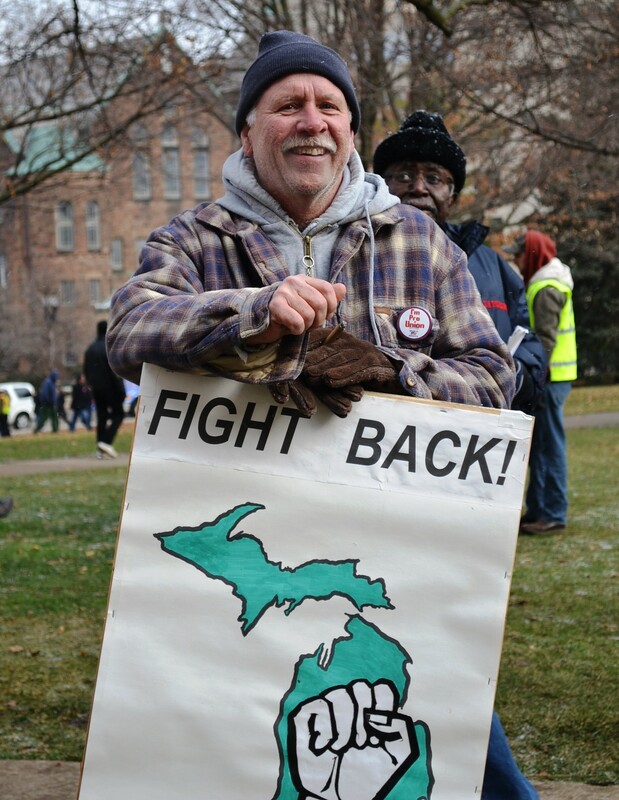 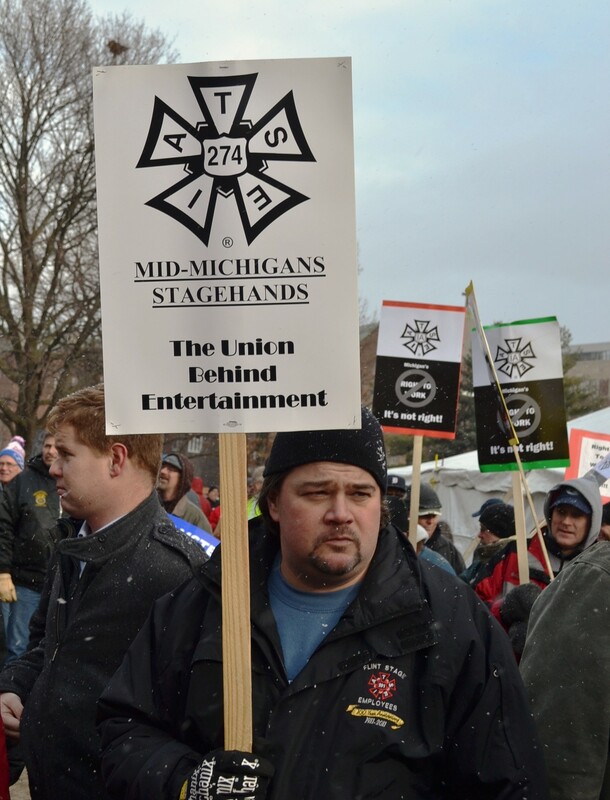 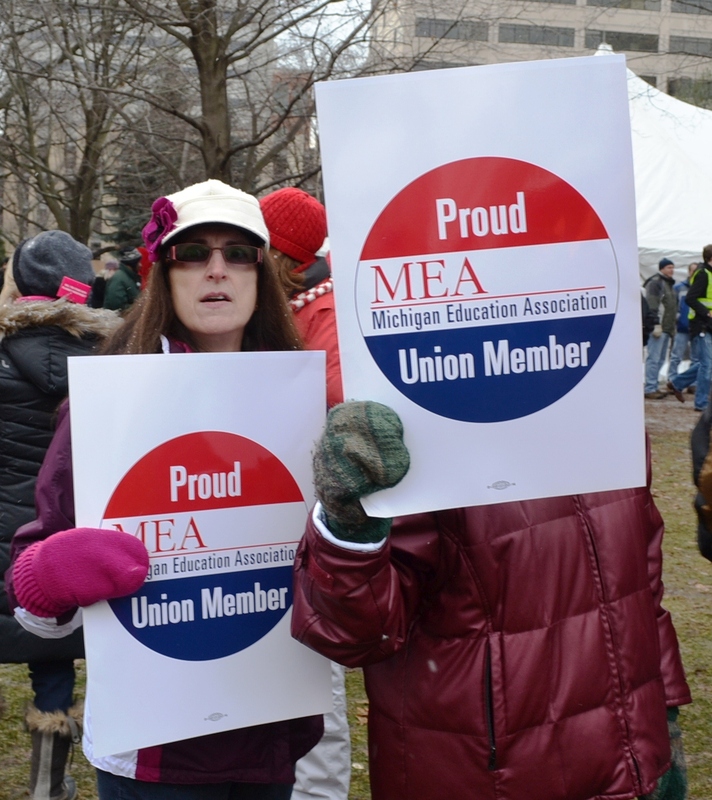 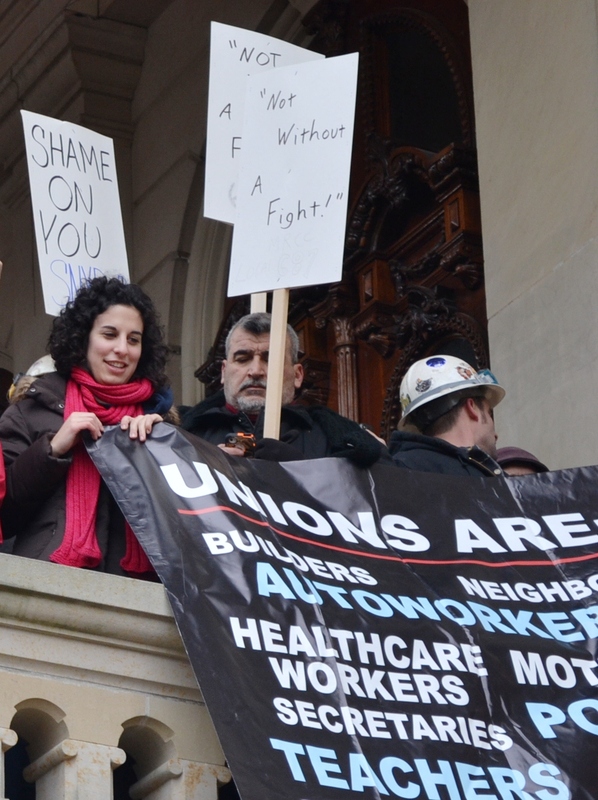 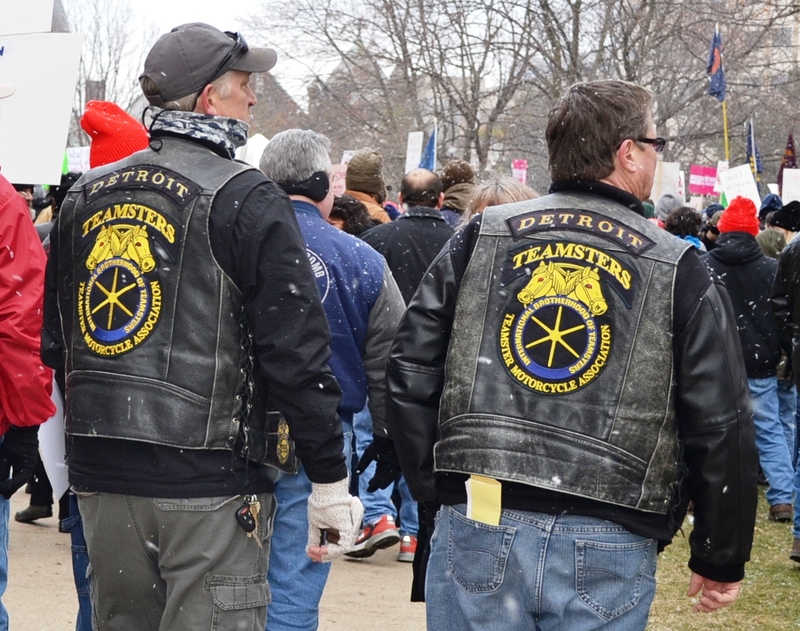 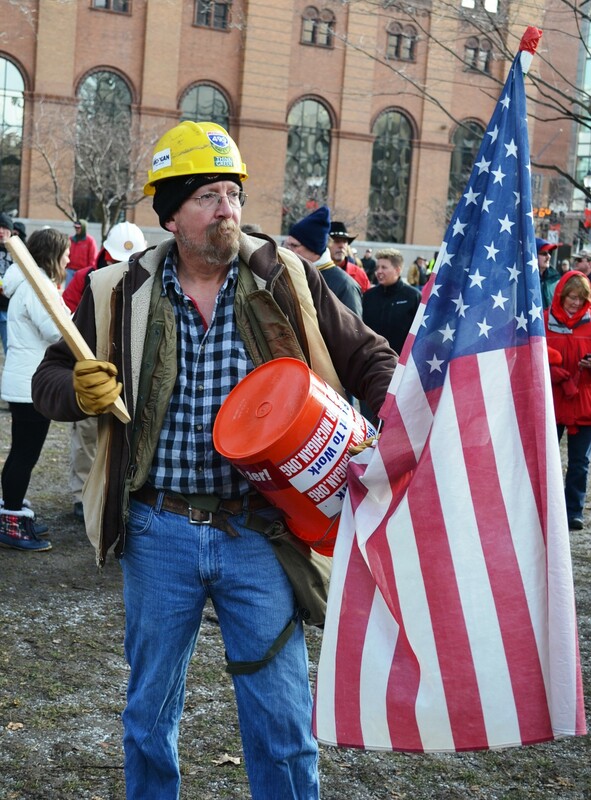 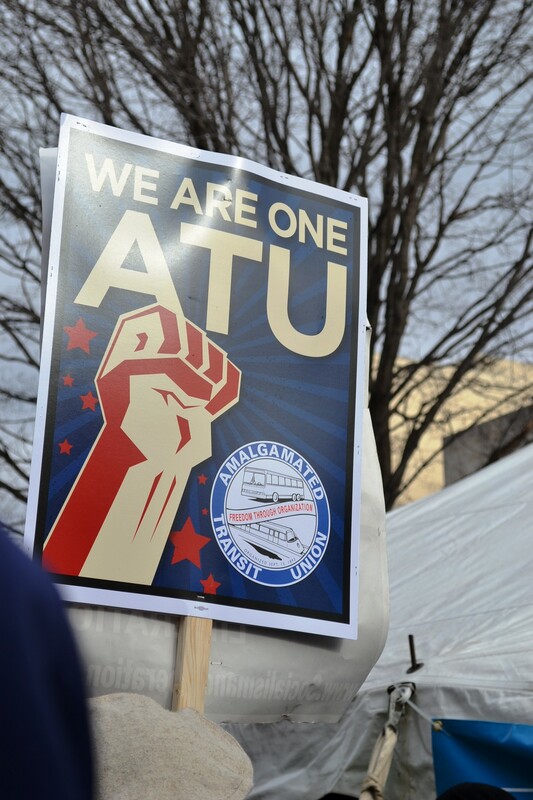 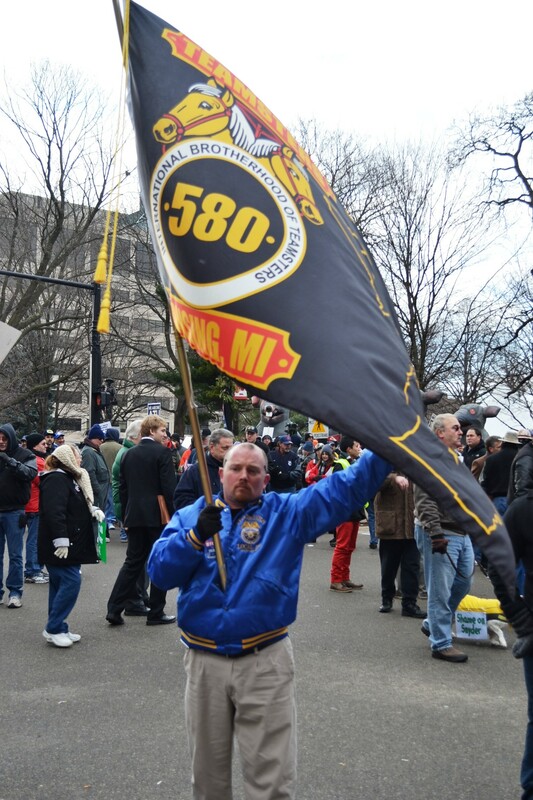 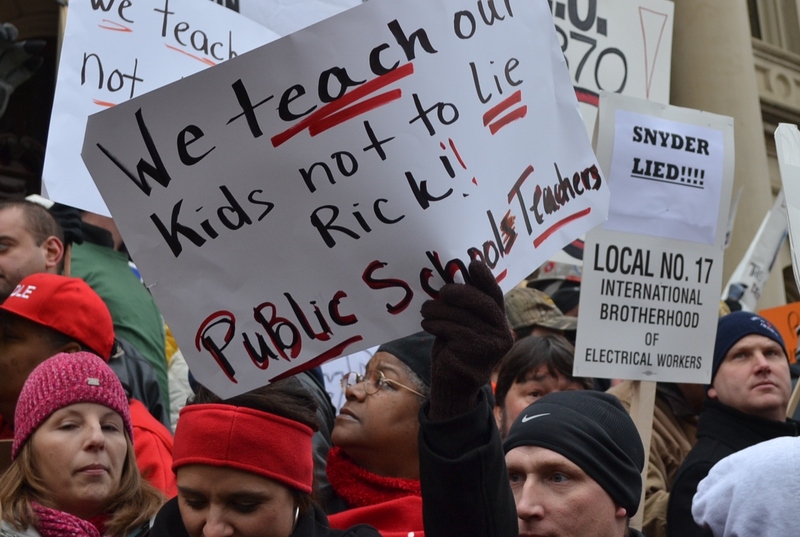 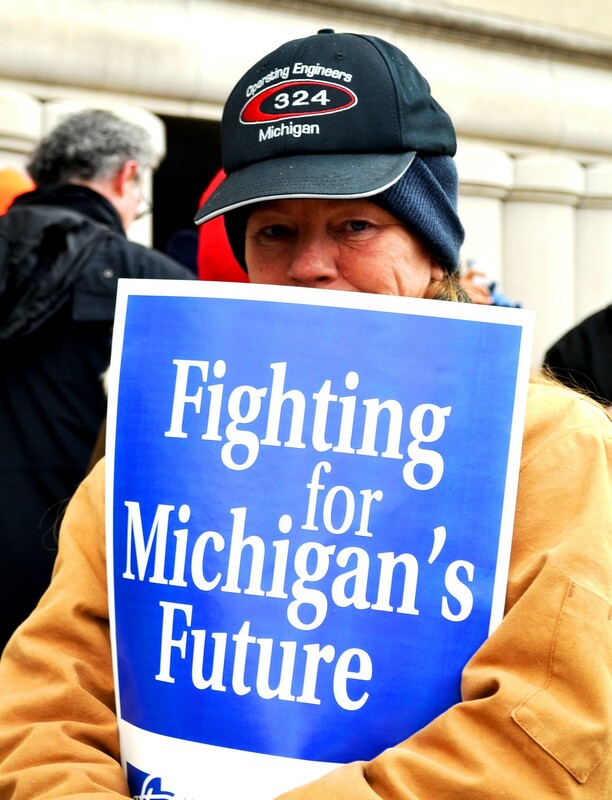 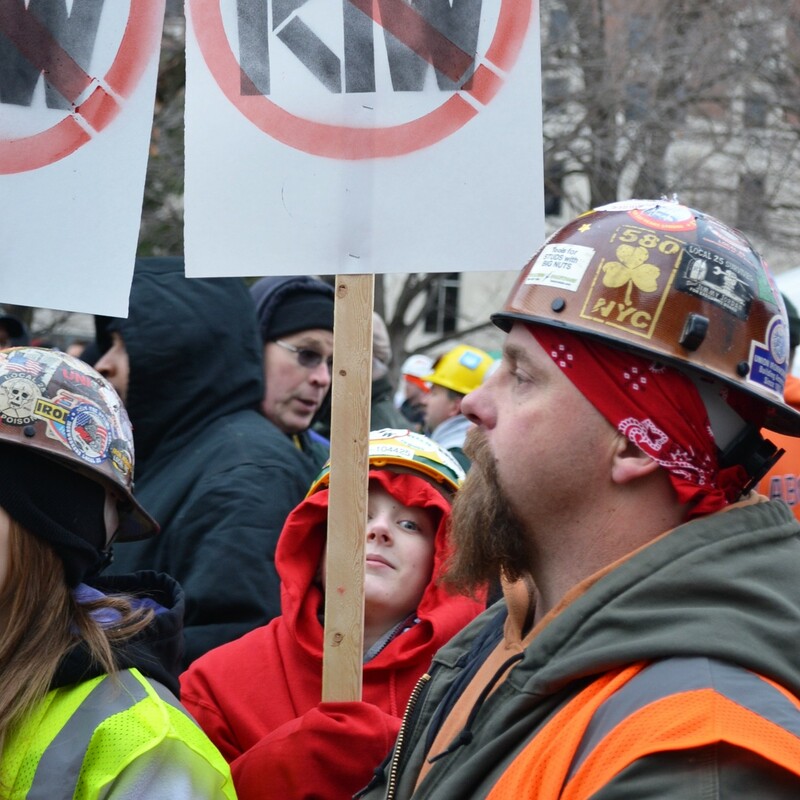 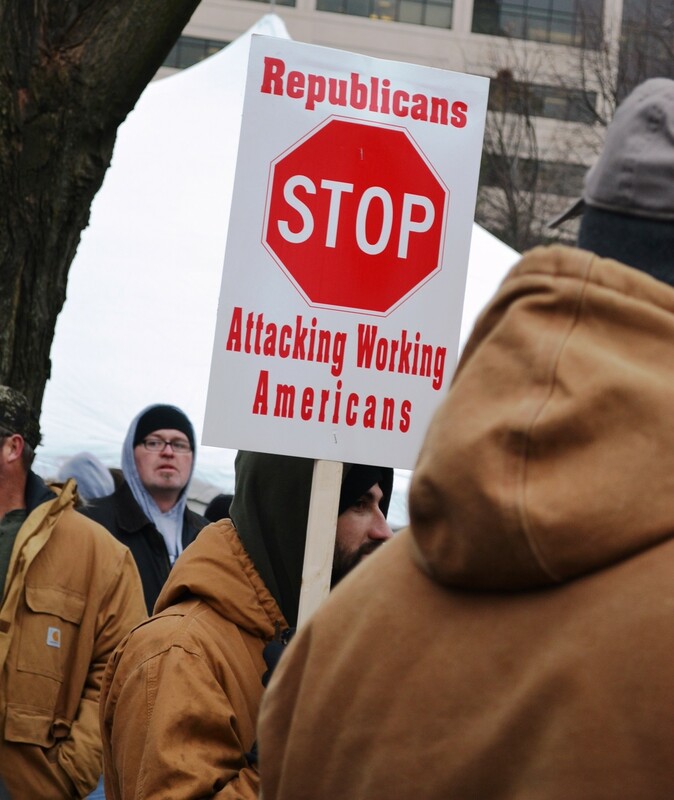 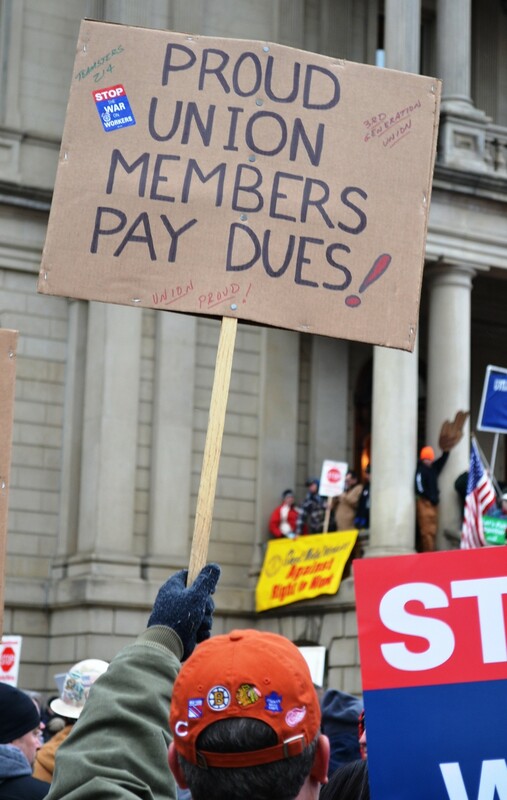 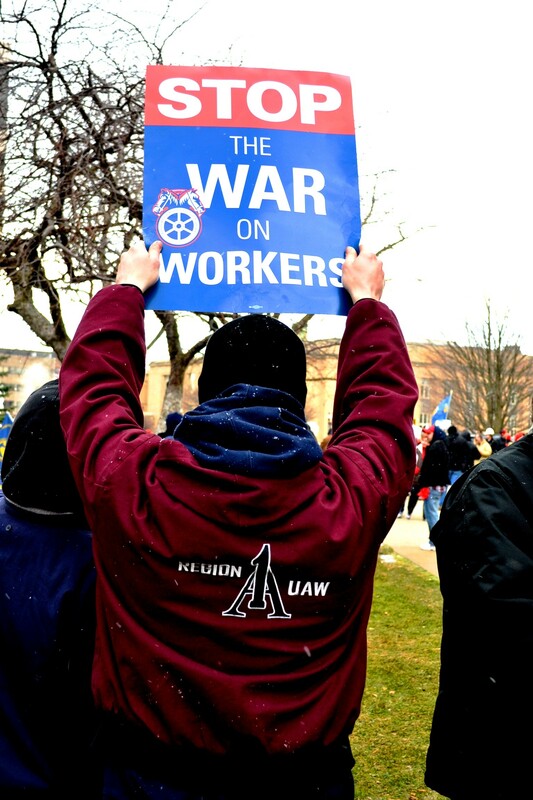 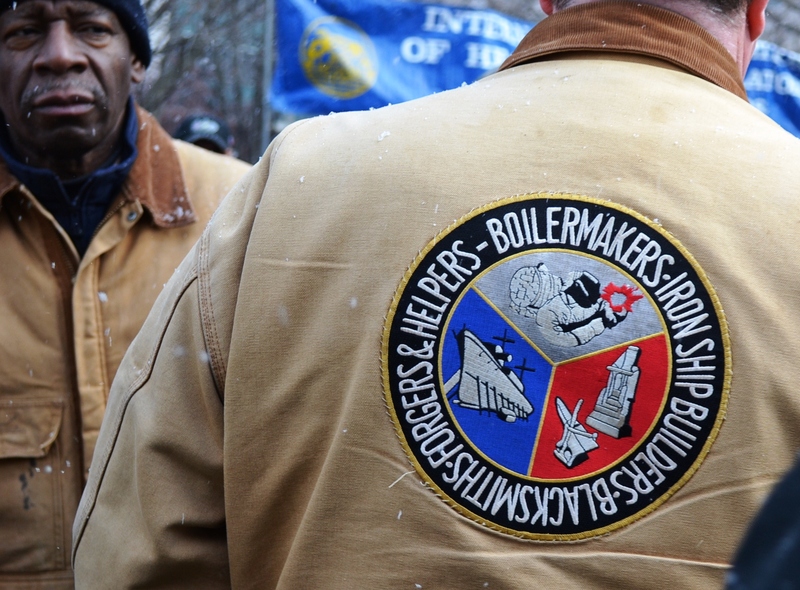 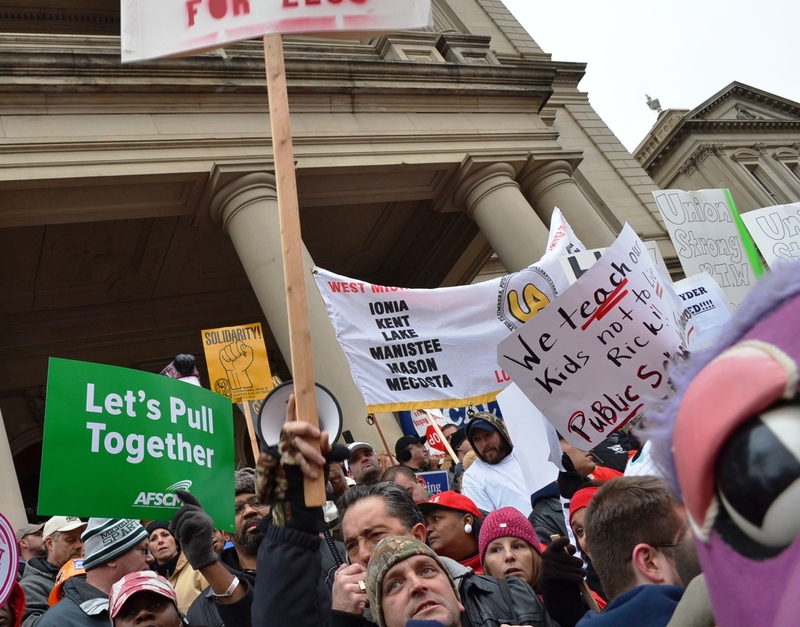 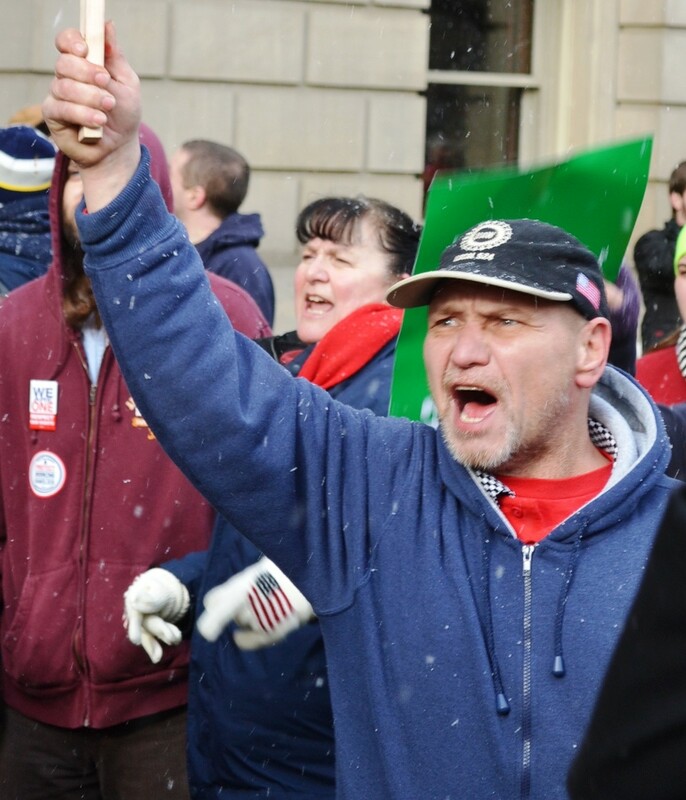 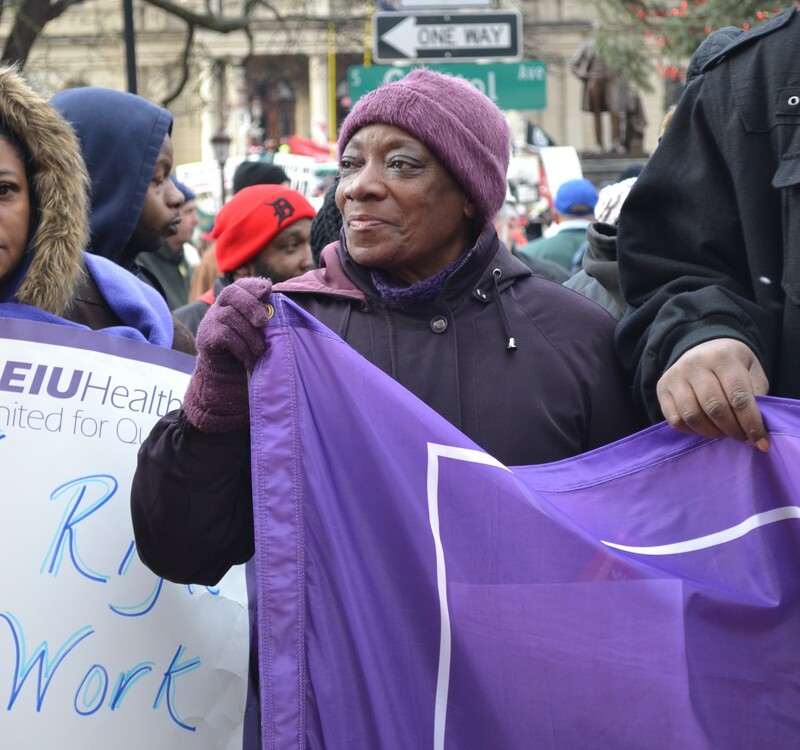 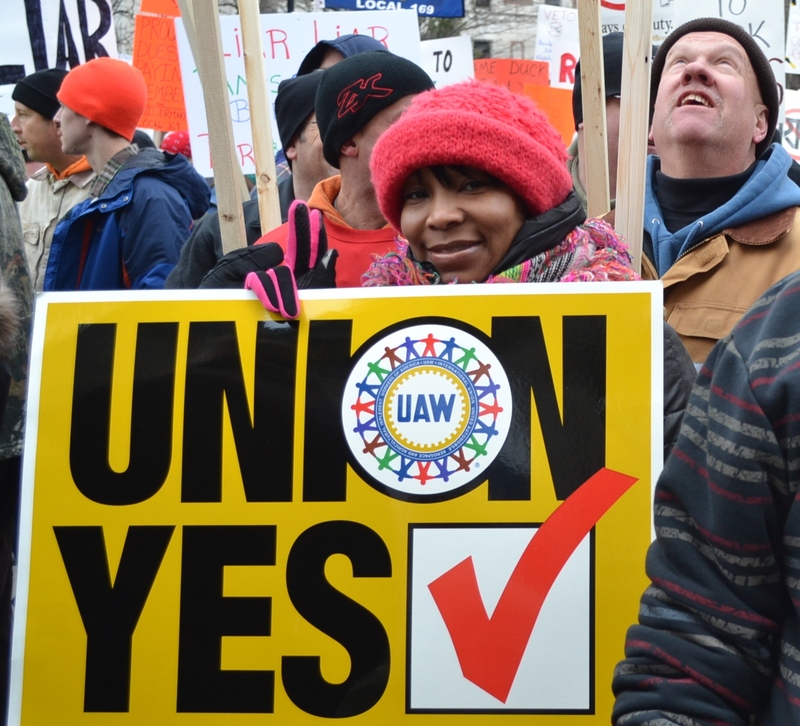 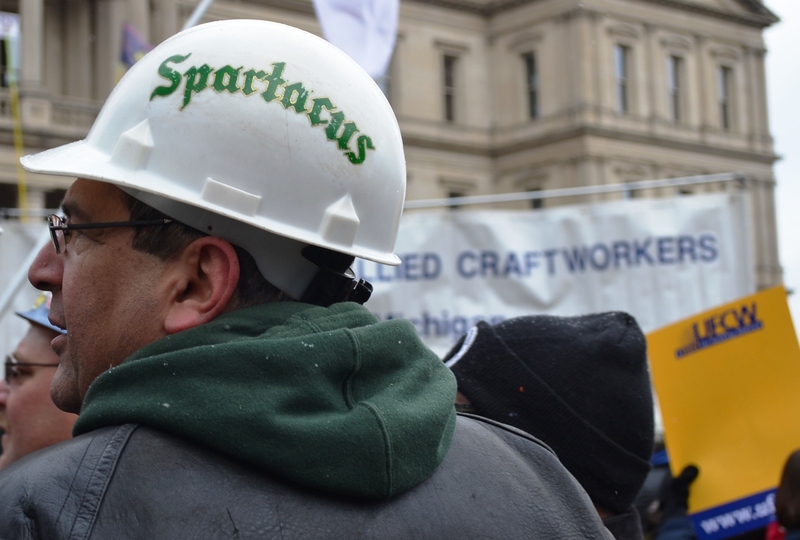 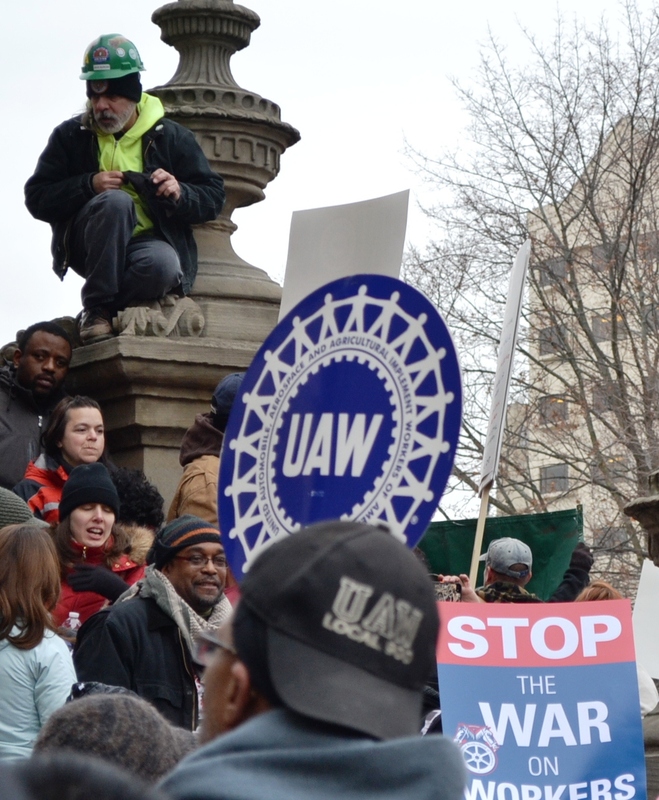 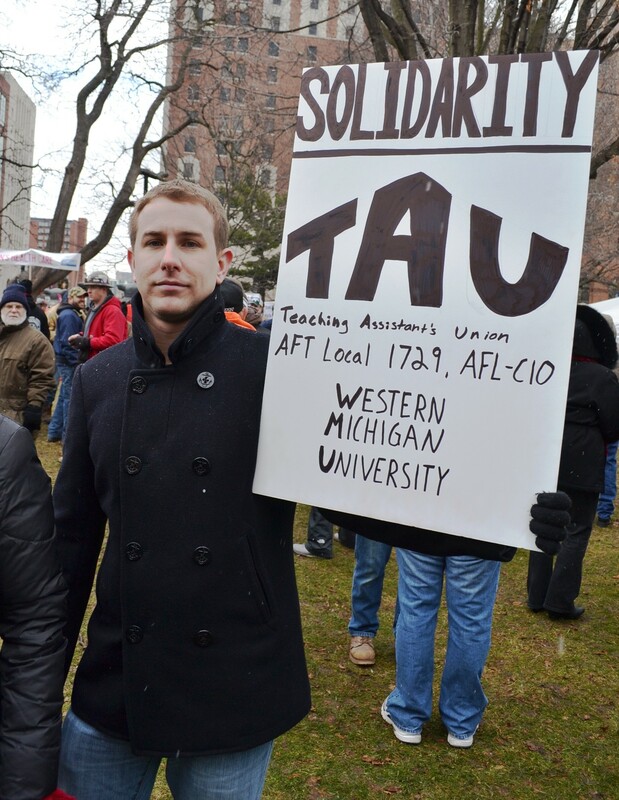 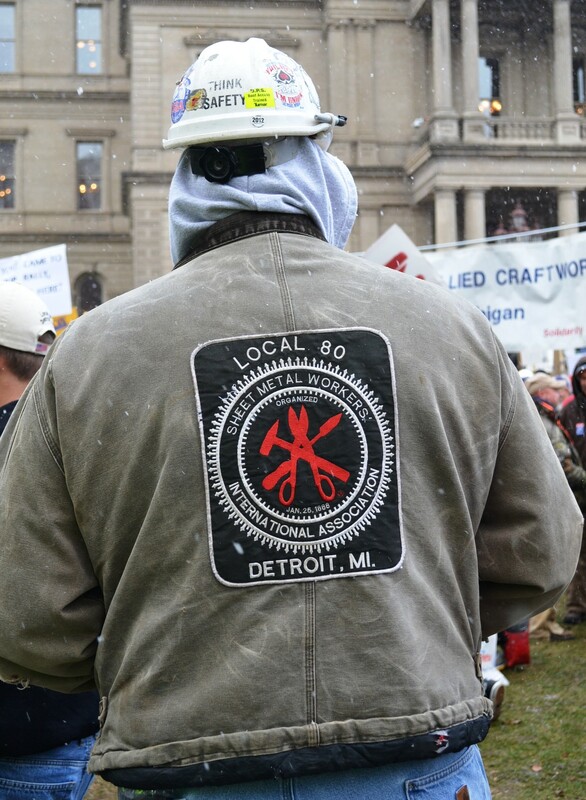 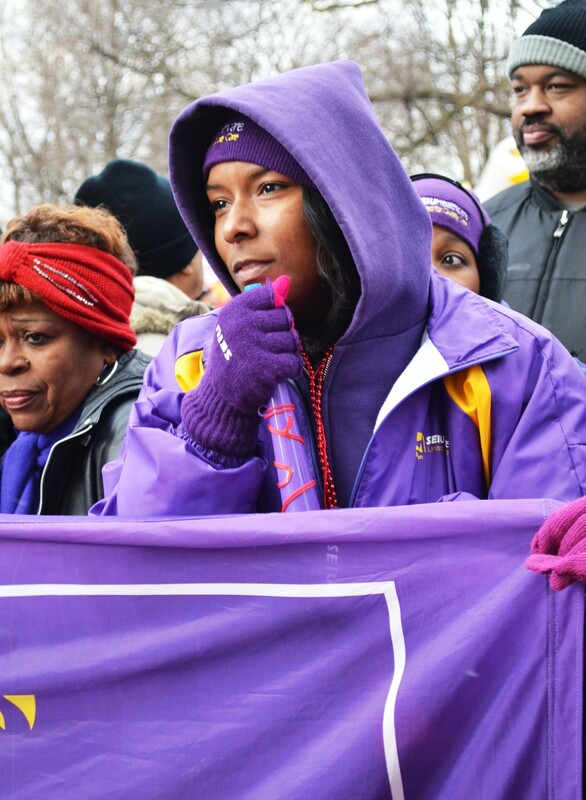 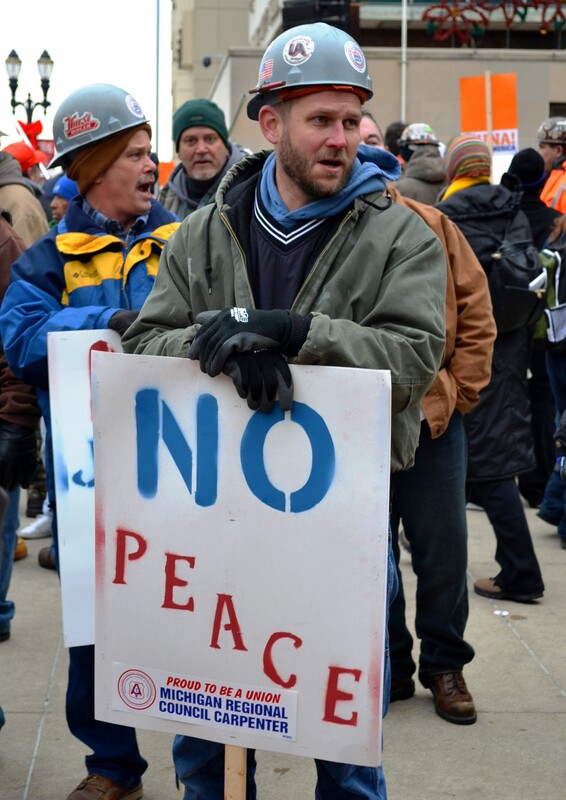 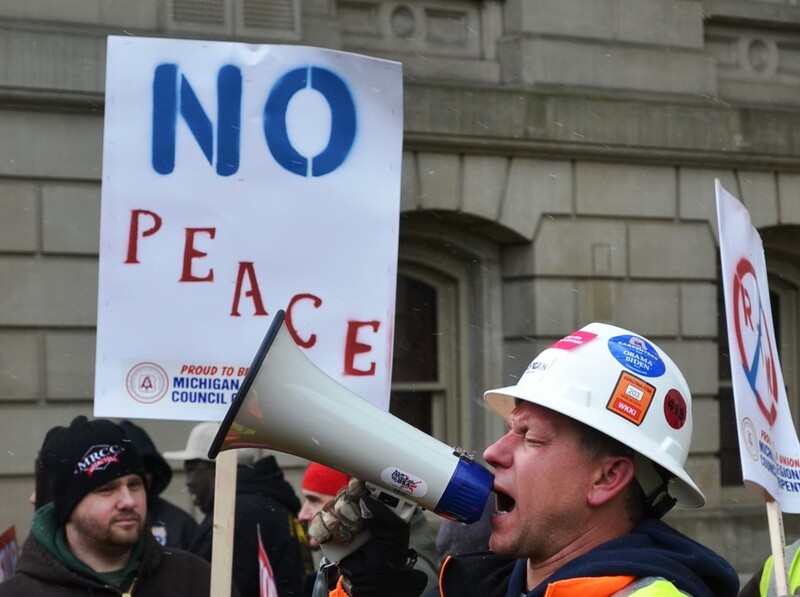 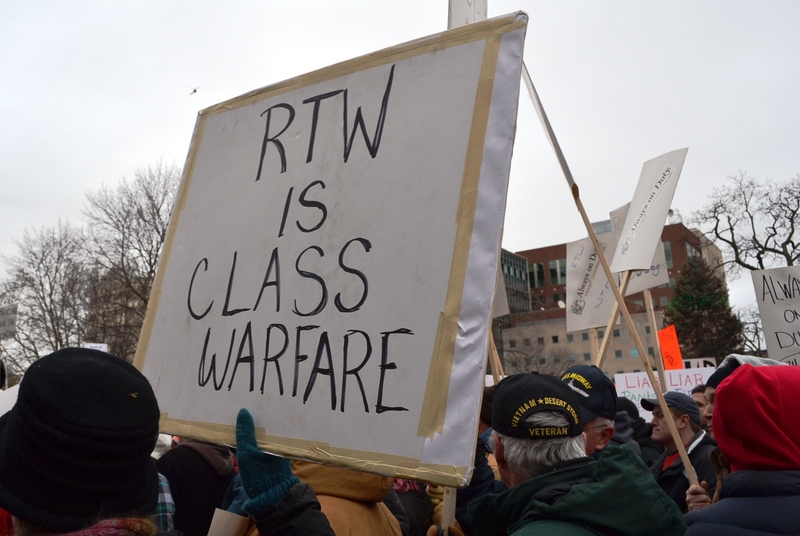 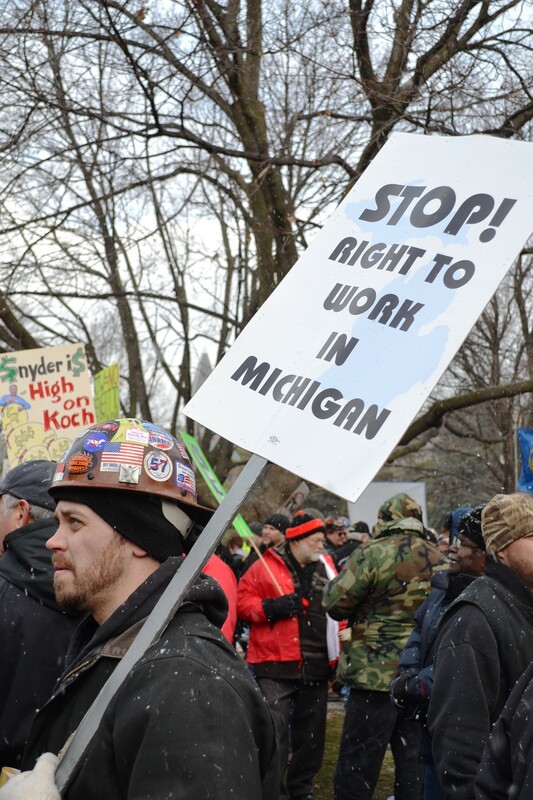 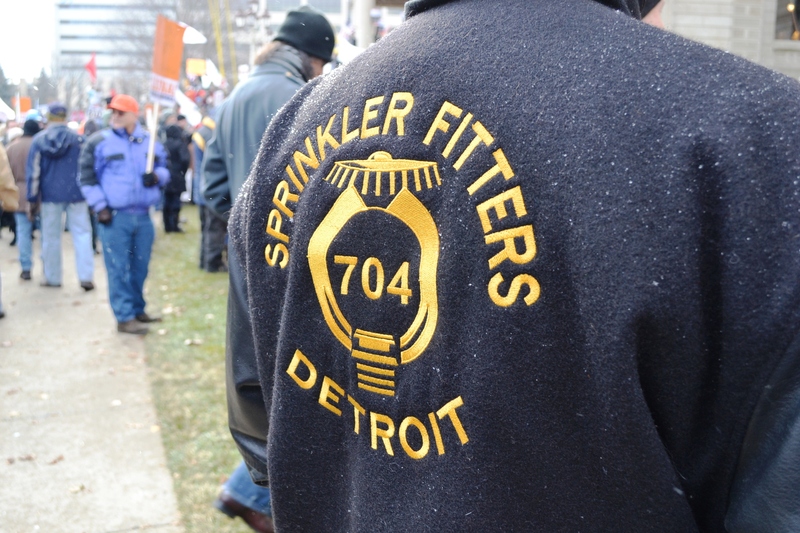 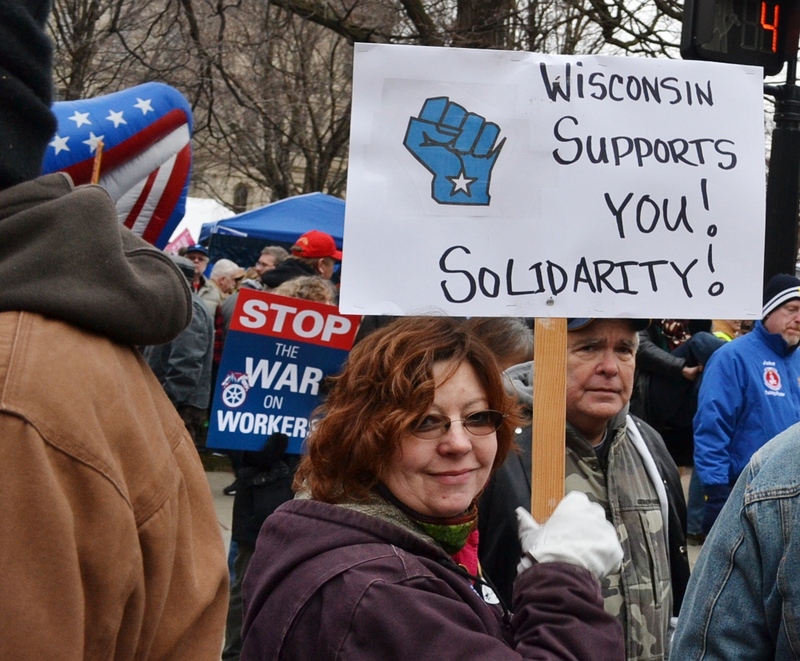 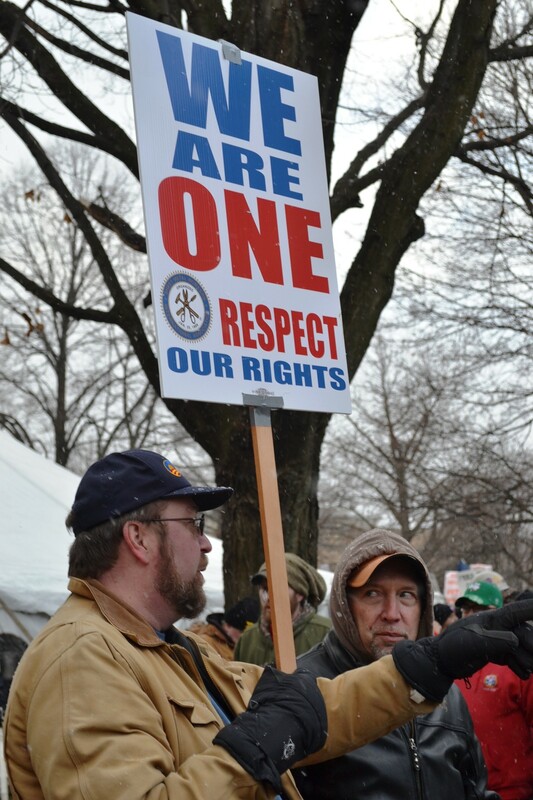 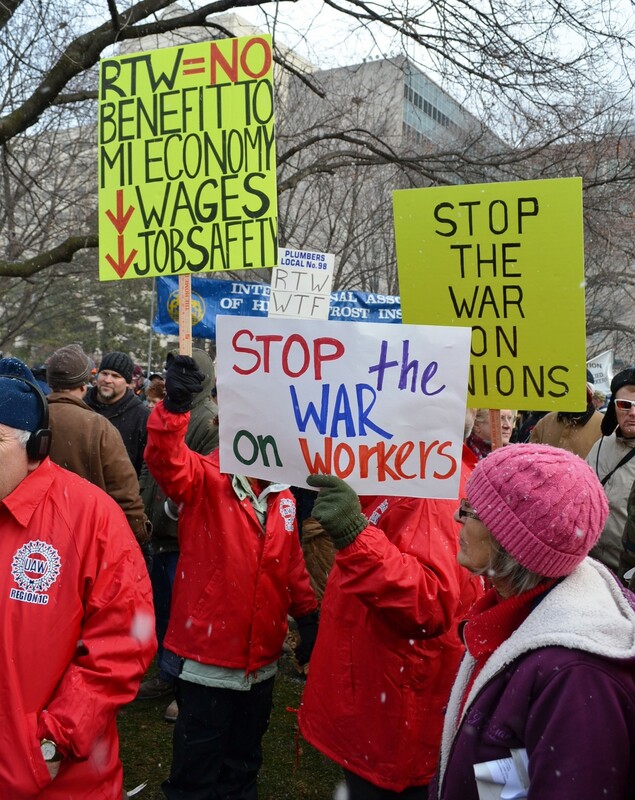 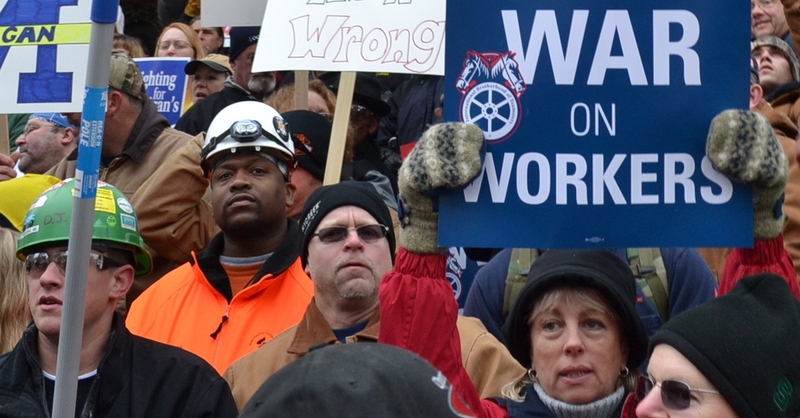 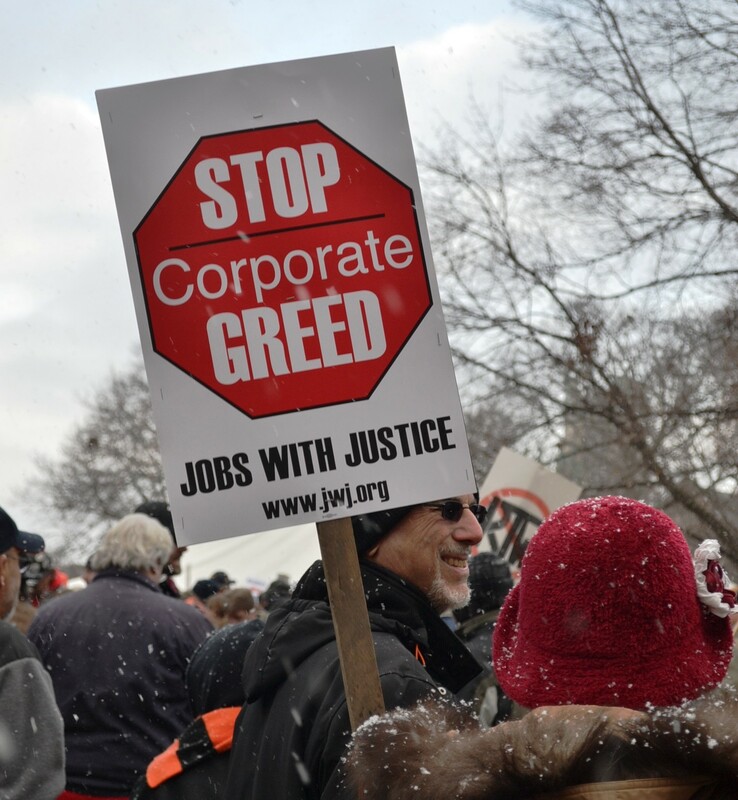 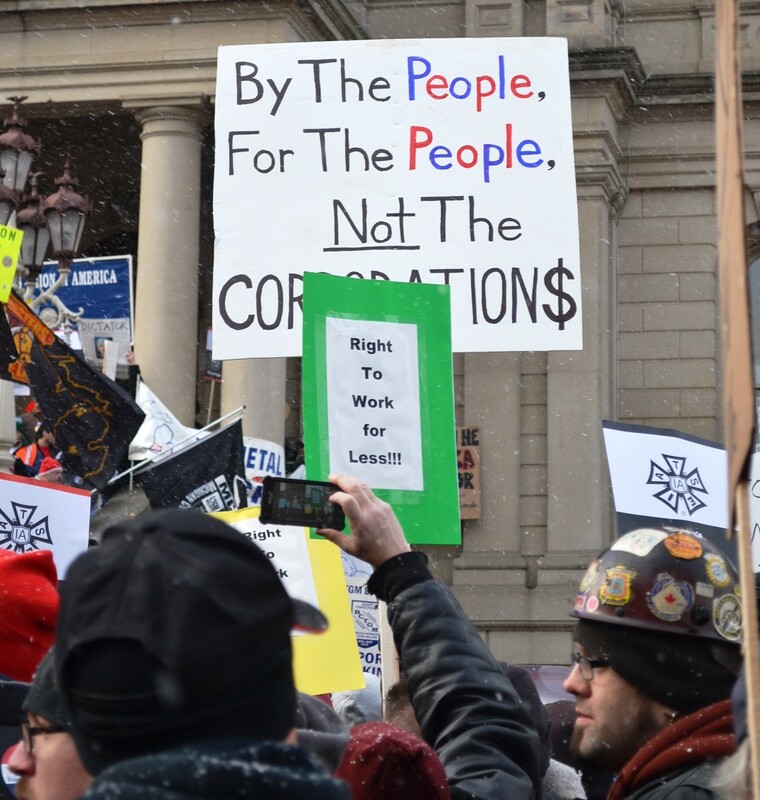 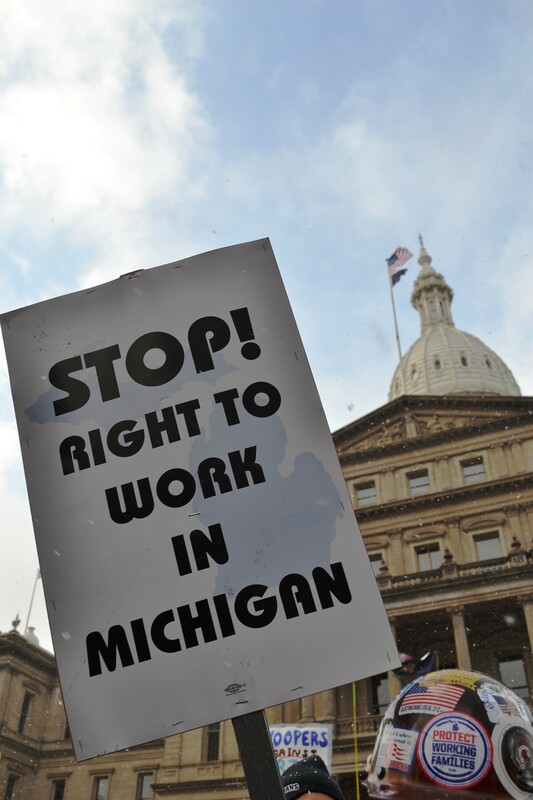 The latest attack on Michigan unions is a long time coming. 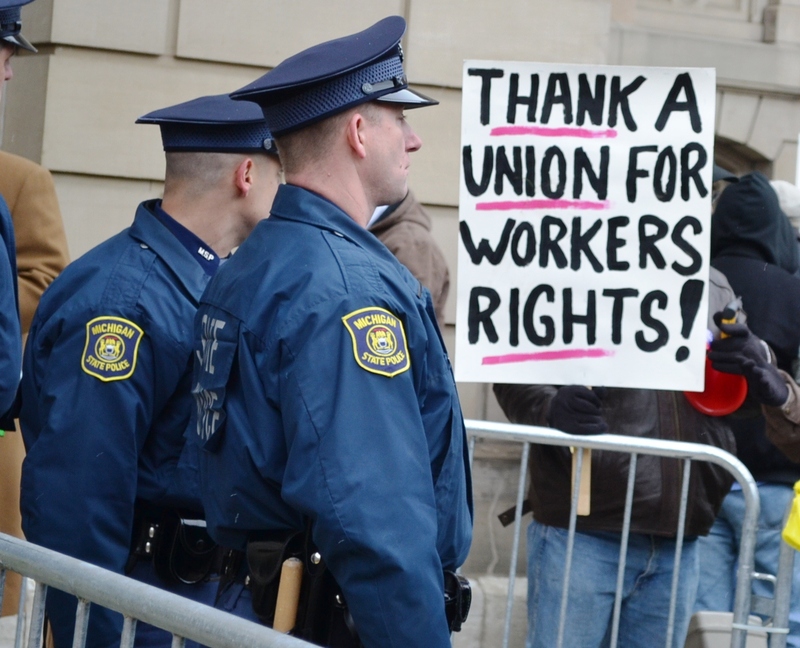 Both in terms of the appetites of the right and of money and the decline of the union movement. 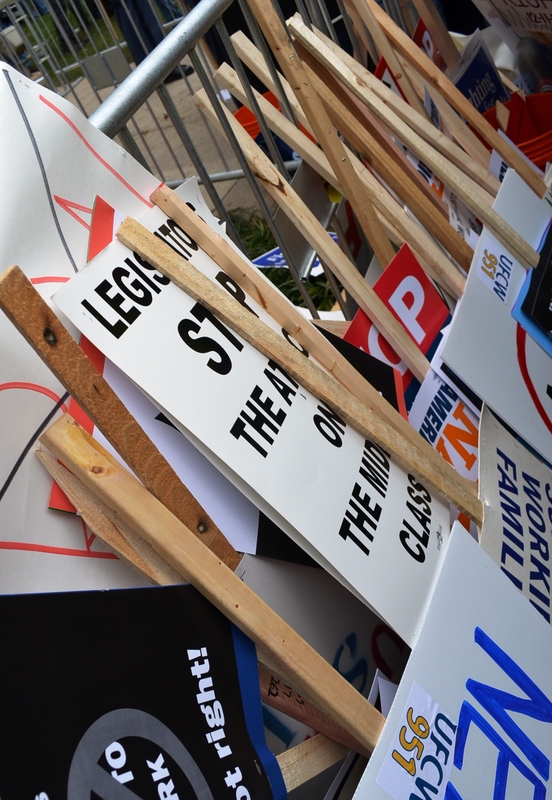 Now that we know the end of the story (this chapter anyway,) it’s impossible not to see it coming when we think back to the beginning. 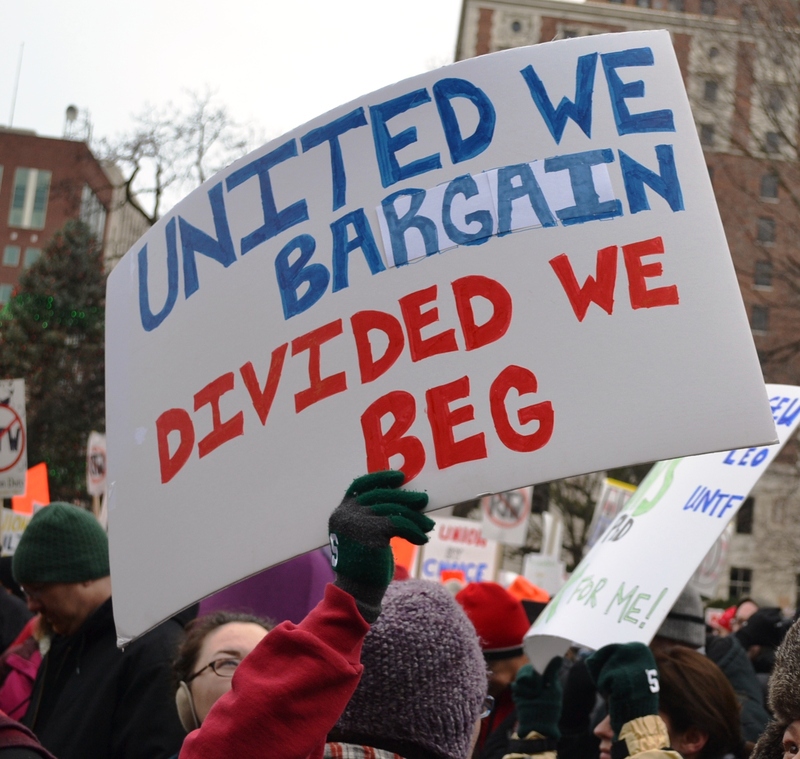 The majority of unions, and all the leading ones, long ago joined in the bosses’ mantra of competitiveness. 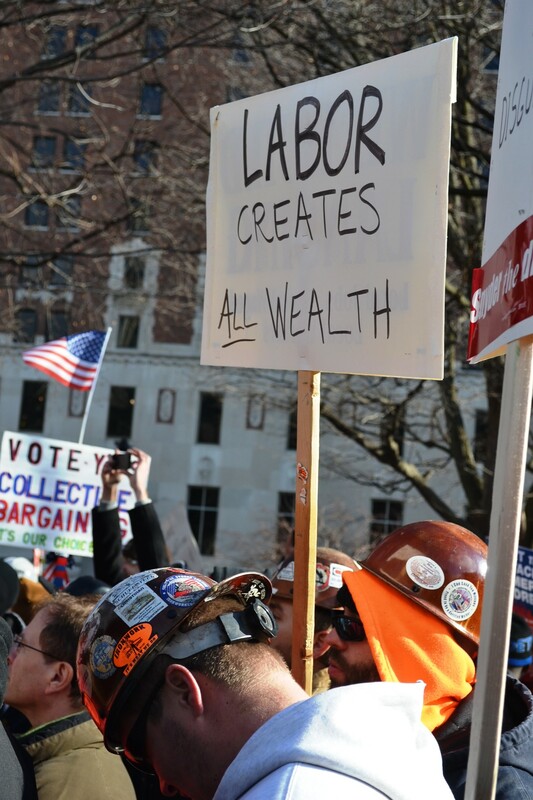 That game is a rigged one and one that workers will always, always, lose. 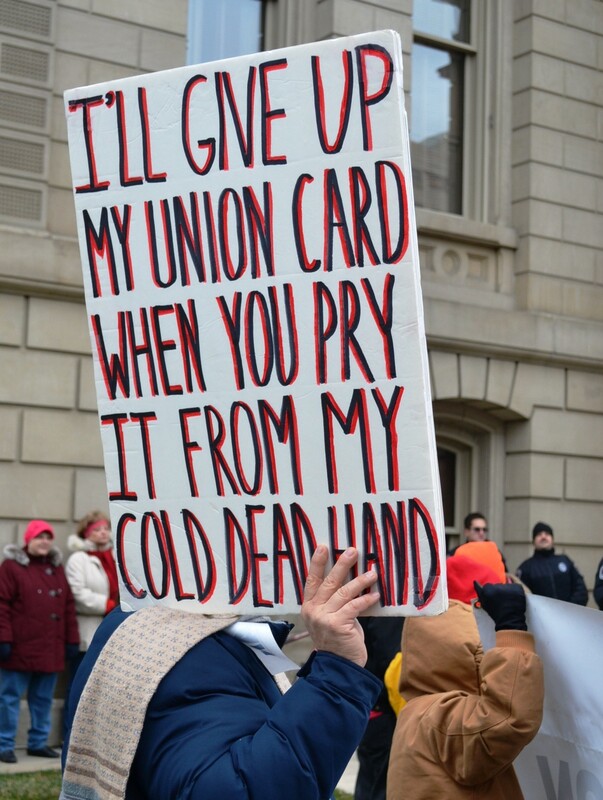 Solidarity (the real stuff, not the phrases or the House) should have been the response to the speedway to hell all of those bad intentions have made. 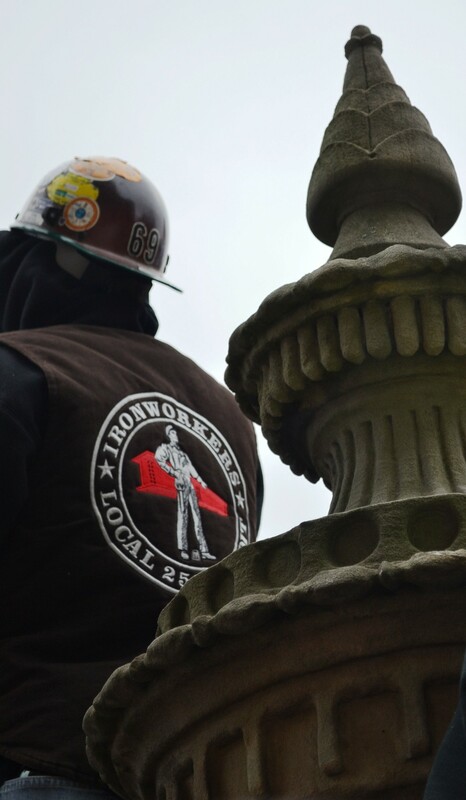 It has to be the watchword going forward, that’s for sure. 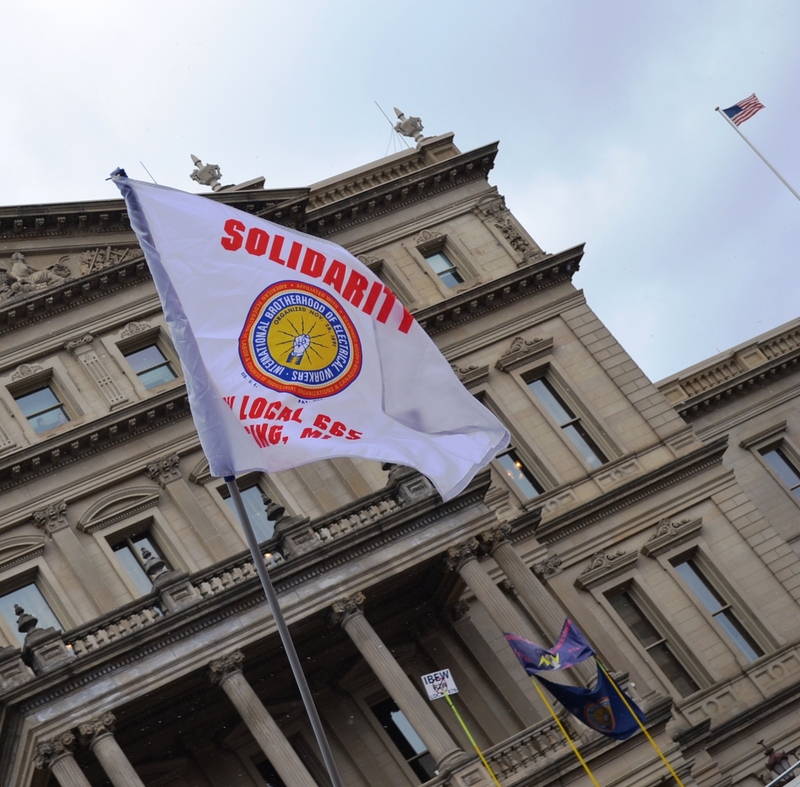 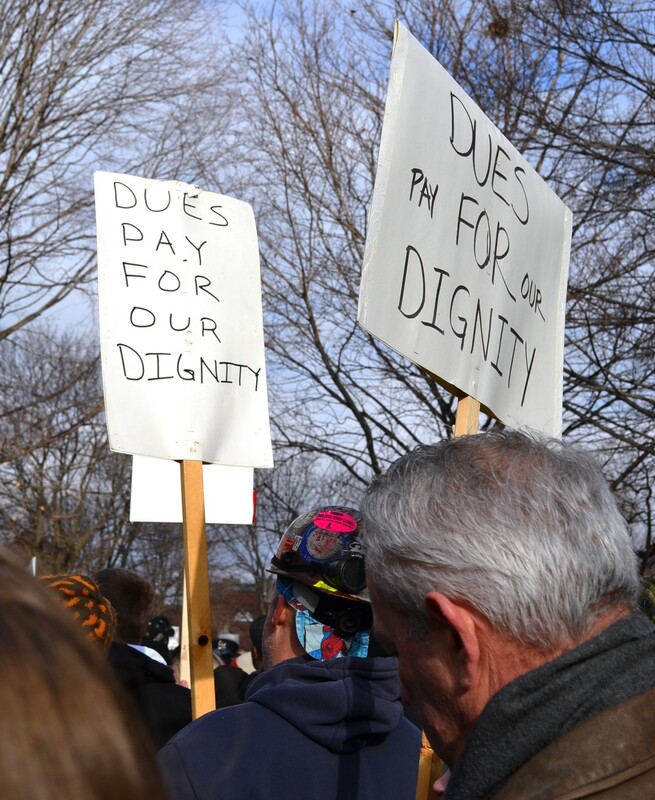 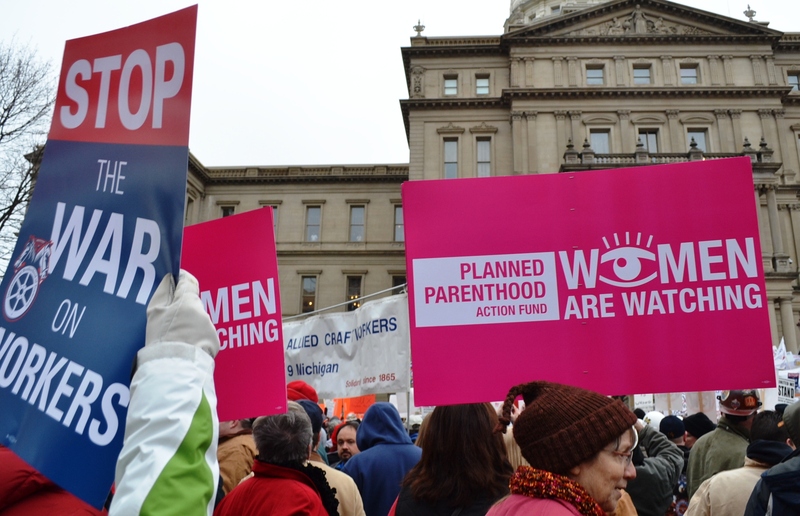 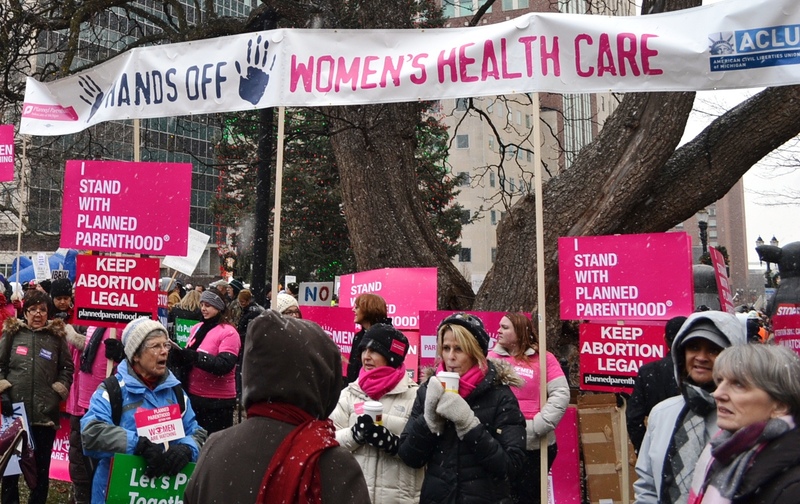 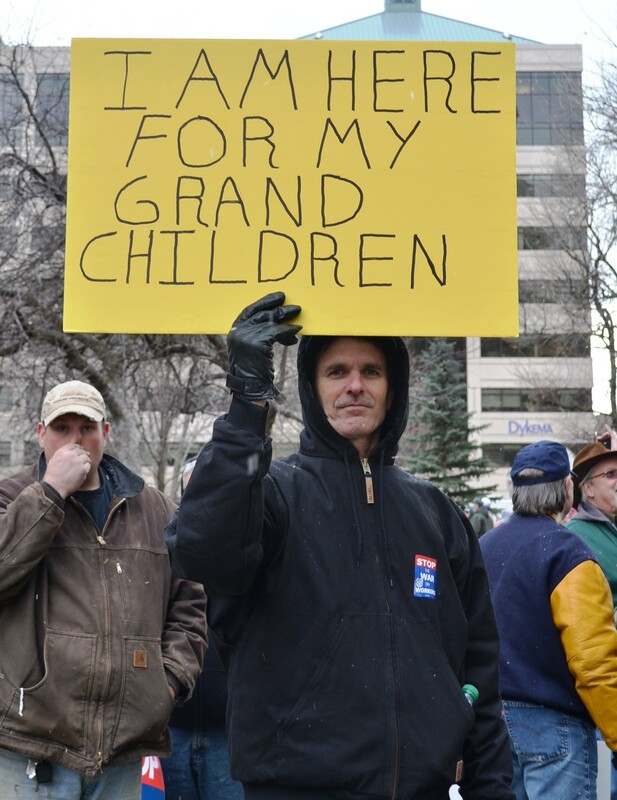 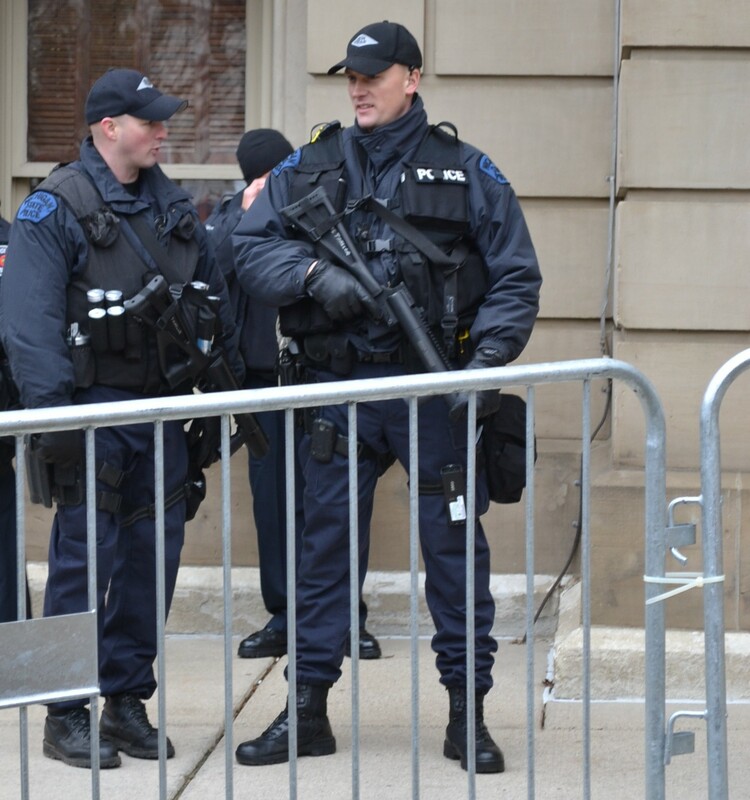 A good deal of that solidarity was on display in Lansing Tuesday last. 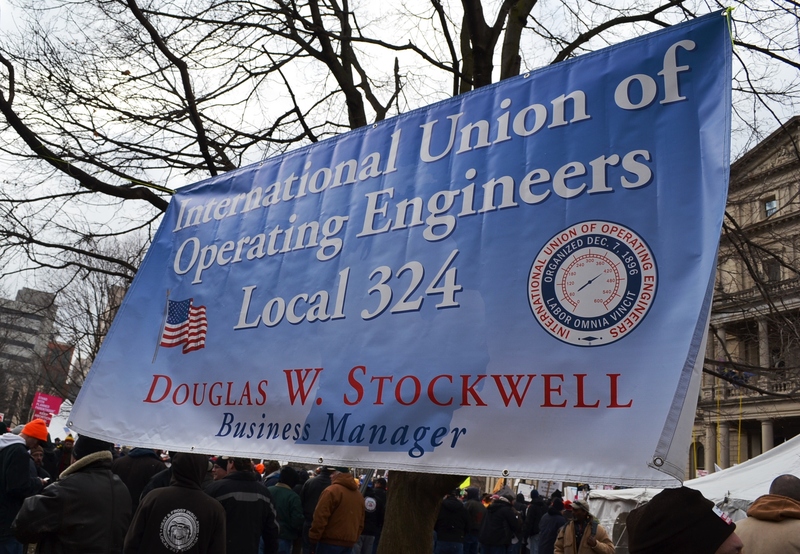 Sharing the outrage that was stewing in me ever since the news came down on Thursday were 10,000 and more proud union brothers and sisters marching with only days notice. 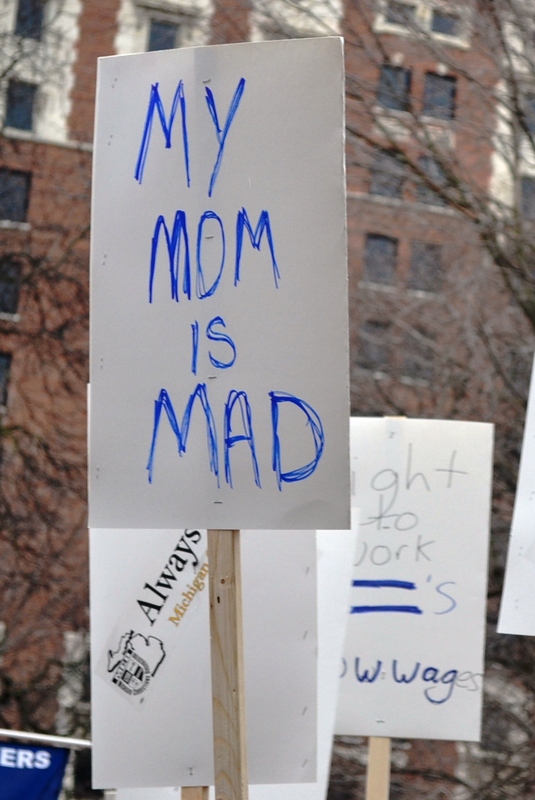 But it felt, at times, more like shared grief than shared rage. 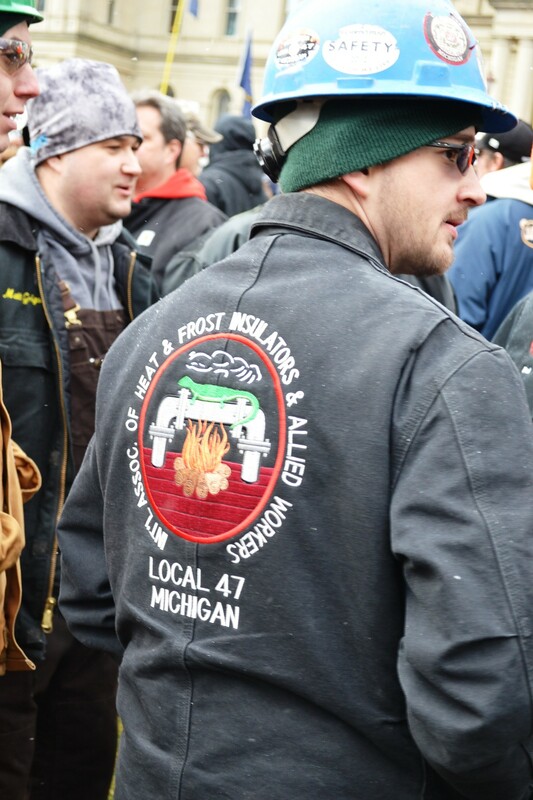 I’m not sure at what stage of loss everyone else was in, but it was one of them. 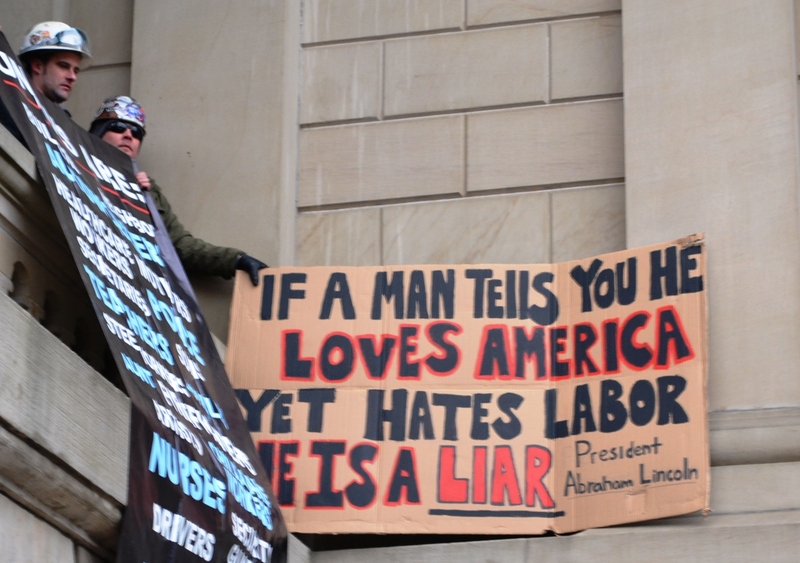 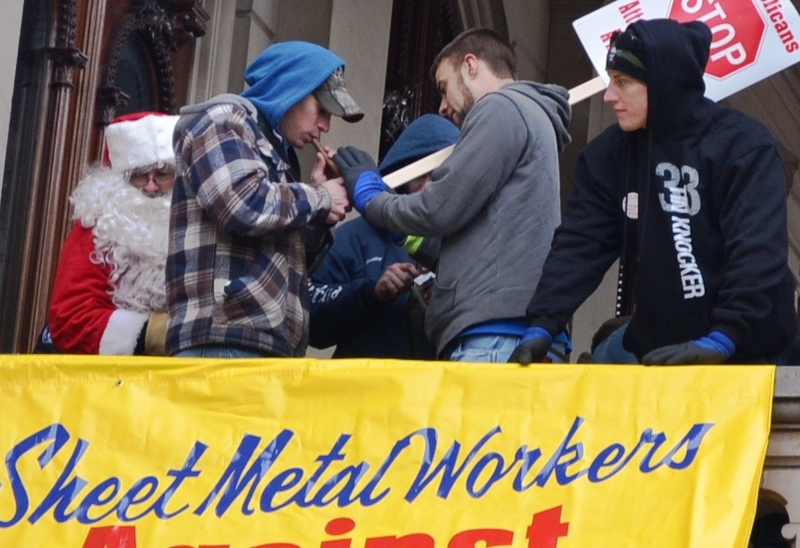 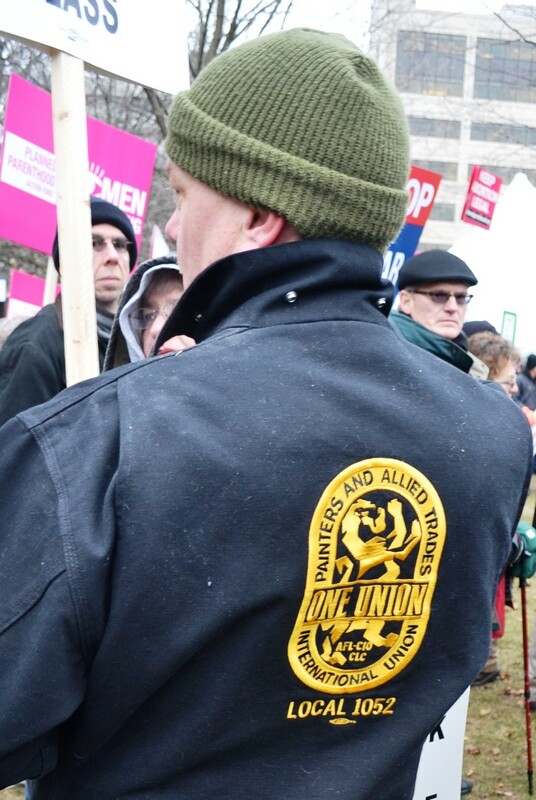 Still, despite it all, much of what is best about the union movement and the class represented by it was on display on the steps of that damned State House. 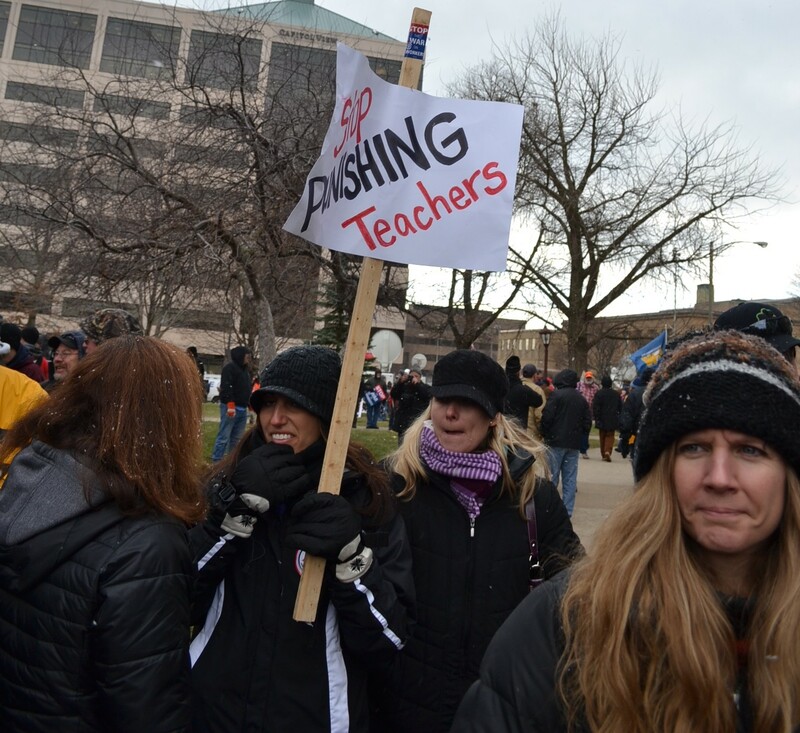 Here is a gallery of photos from the day so you might judge for yourself. 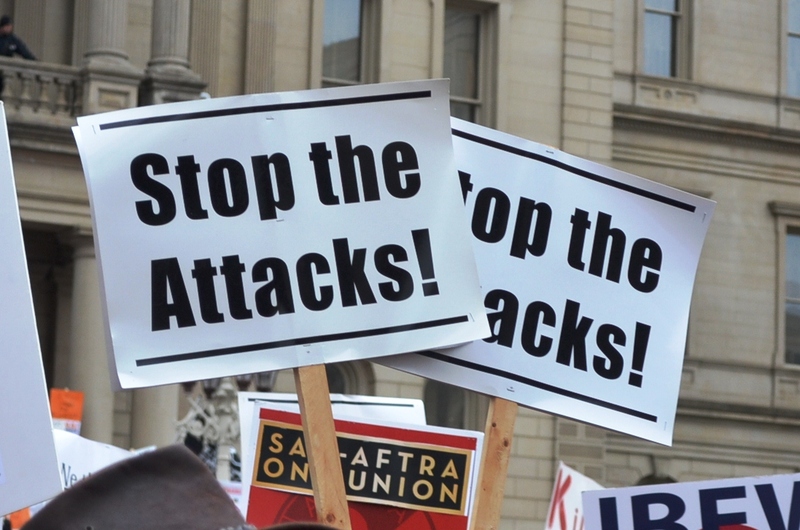 Click on one and a slide show opens.